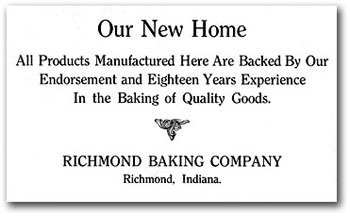 The Richmond Baking Company was established in 1902 by William H. Quigg. It soon occupied the former Hoerner Baker building on South 5th Street. 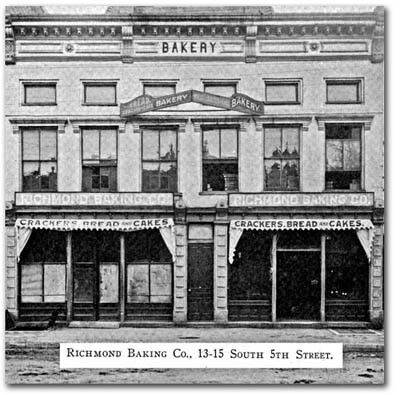 William’s two sons, Eugene and Robert, were also involved in the business. 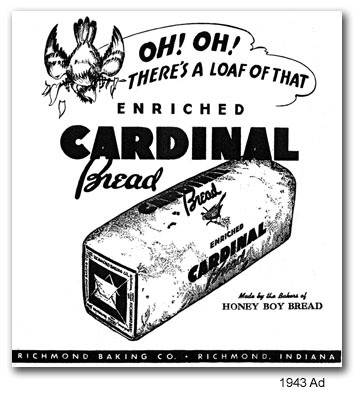 In 1917 the company purchased the land of the former Gaar, Scott & Co., intending to build a new plant. The death of William in 1918 postponed those plans. William’s son, Eugene Quigg, took over management of the company. 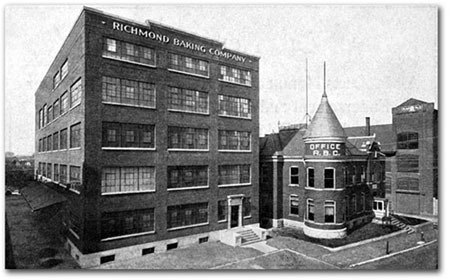 The new plant was completed and opened in 1921. The company’s office building was built to house the Gaar, Scott offices, and that building is today the only structure remaining from the Gaar, Scott complex. 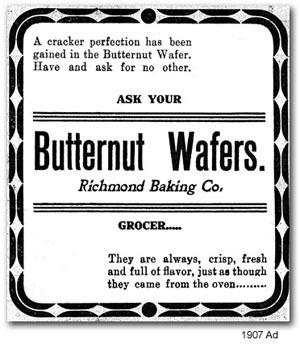 he Richmond Baking Co. produced many brands of crakers, cookies and breads, including Mother’s, Kleen-Maid, Golden Cream, Butter Krust, Honey Boy and Cardinal Breads, Blackstone Cookies, Delishus Cake, and perhaps most notable, the Butternut Wafer and Butternut Cookie. After Eugene died in 1950, his brother J. Robert, took over control of the company. Robert’s son, James, assumed leadership in 1969 after his father’s death. By this time the company’s products had changed considerably from those of its earlier days. 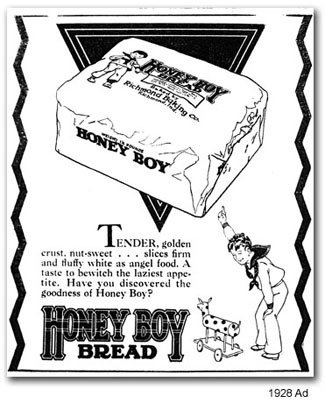 It no longer baked bread for home use, and was putting out products for other companies, like a diet cracker called Metrecal. More recently it has been producing Metamucil fiber wafers for Procter and Gamble and industrial quantities of graham cracker crumbs for use in cheesecakes. The traditional Butternut Cookie makes an annual appearance around the holidays and other special events. At the company’s Centennial in 2002, Jim Quigg announced his retirement and made his sons the new managers. 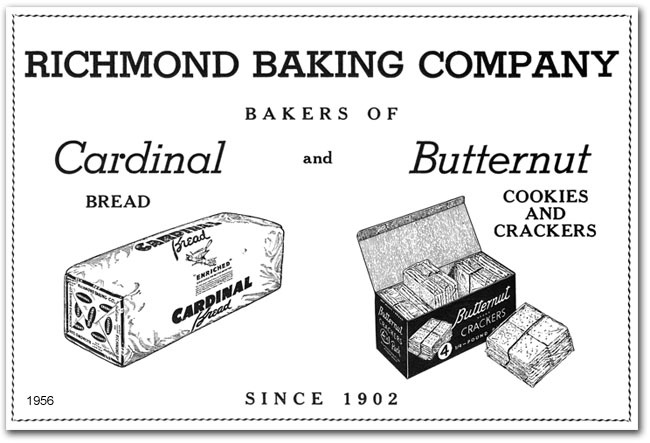 Bill Quigg is now president, and Rob Quigg is treasurer, making the Richmond Baking Company family-owned for four generations.